Huge Congratulations to Adam in Year 5. He competed in the Anglo- Scottish Alpine Championships in Pila over the Christmas holidays. He managed to take 1st place for the U10 boys in the Slalom and 2nd place in the Giant Slalom. His performance came down to his sheer dedication and commitment as he competed against some very tough competition. 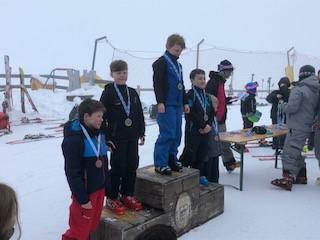 Well done Adam, Super Star Skier! Adam is now looking forward to training with the British Ski Academy in February in preparation for the British Children’s Alpine Championships at Easter.